Habitat: Chalk and lime stone. Grows well on dry grounds, calcareous soils, meadows and hedgerows. Native to British Isles, temperate Europe and Western Asia. Description: Burnet Saxifrage is a perennial plant, grows to 1 meter. It has a rosette of leaves springing from the robust rootstock. Leaves are pinnate, coarsely toothed. Flower heads have crimson tufted spots. Flowers and leafstalks are reddish in color. It flowers from July to August. Parts used: Whole herb gathered and dried in July. 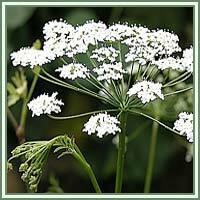 Medicinal use: The plant is considered to be helpful in treatment of wounds. Internal use eases digestion, helps respiratory problems, treatments of kidney and urinary diseases. Root is anti-inflammatory. When chewed fresh, root is effective in treatment of toothaches and tong paralysis. 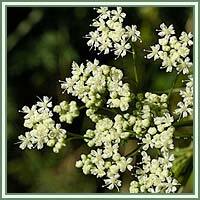 Burnet also soothes coughsan and symptoms of laryngitis and bronchitis. Distilled water made from the plant is used as an eye lotion. An infusion of the whole plant is used as an astringent, and as a promoter of perspiration.